Automakers recall millions of vehicles every year. A recall seeks to reach out to consumers to return faulty products, mistakenly put in the marketplace, for repair. 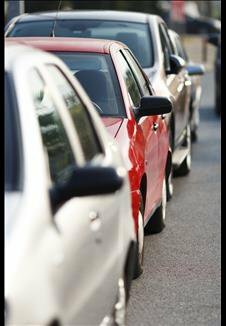 In 2014, more than 60 million vehicles were recalled, nearly doubling the previous record set in 2004. These automobiles all had some sort of defect. Some of the defects, while annoying, were not of serious concern, such as faulty air conditioners, while others resulted in significant safety issues, like problems with the ignition switches, brakes, or steering. Honda issued a recall of 14 million vehicles because its airbags might shoot sharp pieces of metal into the car when deploying. Of the 60 million cars that were recalled in 2014, less than half were actually repaired. Consumers may not be aware of the recall. Cars change hands several times, and dealers have trouble reaching out to everyone who might have the car. Several major car manufacturers have been caught purposely misleading regulators and consumers about recalls to save money. Toyota recently paid a $1.2 billion fine for this improper action. Even when everyone is aware that a recall has been issued, a consumer may not prioritize it. When consumers are able to bring their automobiles in for the recall, the part necessary for the repair may be unavailable, especially on older model cars that are no longer in production. This leaves millions of automobiles on the road every year that may pose significant safety issues. Wiring issues can increase the risk of car fires. Vehicle components could break resulting in loss of control of the vehicle. Seat belts might be defective. Windshield wipers might not work properly. All of these problems make the roads less safe for drivers of these vehicles and everyone else on the road. If a consumer is injured as a result of an issue caused by an automobile defect, he or she may have a substantial claim against the auto manufacturer. If the defect has caused a collision, the car company may be responsible for all injuries. A consultation with an experienced attorney is necessary to determine whether or not a claim is viable in a particular situation.